The AMA Alliance celebrates 95 years of uniting and empowering physician families with a presentation at its Annual Meeting in Chicago on June 12, 2017. May 24, 1922: AMA House of Delegates approves of the resolution establishing the Woman’s Auxiliary to the American Medical Association. 60 women from 17 states attended the first annual meeting. First organizational publication “The Bulletin” provided to members. The Right Side of Caduceus official presidential pin designed to be worn by the president and passed on to each succeeding presiding officer. National dues set at $5 per state. First Auxiliary speech to the AMA House of Delegates. “ The First Twelve Years” Women's Auxiliary to the American Medical Association historical reference book published. Annual Meeting registrants from all 48 states. Membership with affiliate organizations in 37 states. United States Federal Government National awards presented for volunteer support of price control and rationing during WWII. Dues are raised from 25 cents to $1. Expansion of the Auxiliary to 48 states with over 3,108,341 volunteer hours. Auxiliary supports the American Medical Education Foundation, now known as the AMA Foundation. Influential national grassroots action network expanded. “Operation Coffee Cup” Auxiliary recording by Ronald Regan supporting the King Anderson bill on Federal Health Care of The Aged. The Block Mother Plan for Children’s Safety program. K.O. Polio program promoting of immunizations and vaccinations. New magazine publication “MD Wife”. Membership opened to male spouses, resident physician’s spouses and medical student spouses. Name changed to American Medical Association Auxiliary. Dues increased from $4 to $7. Auxiliary invited to White House by First Lady Nancy Reagan for “Drug Use and the Family” briefing as part of the “Just Say No” campaign. $1,742,931.68 presented to AMA Foundation from membership fundraising. “Days at the Capitol” held in 39 states. President Ronald Reagan and honors AMA Auxiliary for its drug prevention programs. AMA Auxiliary officially becomes the AMA Alliance. October 11, 1995 SAVE (Stop America’s Violence Everywhere) program is launched. “Hands are Not For Hitting” and “I Can” health promotions series published with over a million copies distributed nationally. Presidents George H. Bush and William Clinton recognize AMA Alliance SAVE efforts. Expansion of SAVE program with AMA Foundation grant for 50,000 conflict resolution puzzle. “I Can Handle Bullies” booklet and bookmark added to health promotion series. Legislative Education and Awareness Promotion (LEAP) Awards launched. President George W Bush recognizes SAVE program. 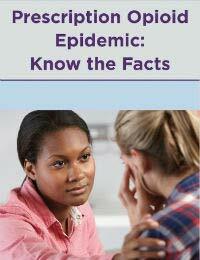 AMA Alliance joins AMA National Advisory Council focusing on violence and abuse prevention. Partnership with American Legacy Foundation and grant utilization for “Screen Out” advocacy campaign for movies with smoking to be R rated. Alliance Health Education Initiative (AHEI) established to promote community health education and charitable endeavors. 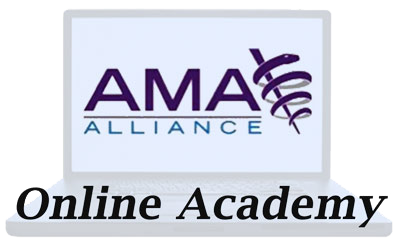 AMA Alliance Grassroots Honor Fund established in conjunction with the AMA Physician of Tomorrow Endowment. First two $10,000 grants awarded in 2015, one in honor of John Lovin, past AMA Alliance treasurer. 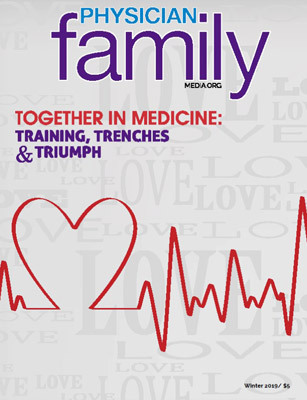 Organizational Focus on the Physician Family. Launch of Alliance in Motion and Physician Family magazines. National advocacy partnership with AMA addressing Opioid Abuse.